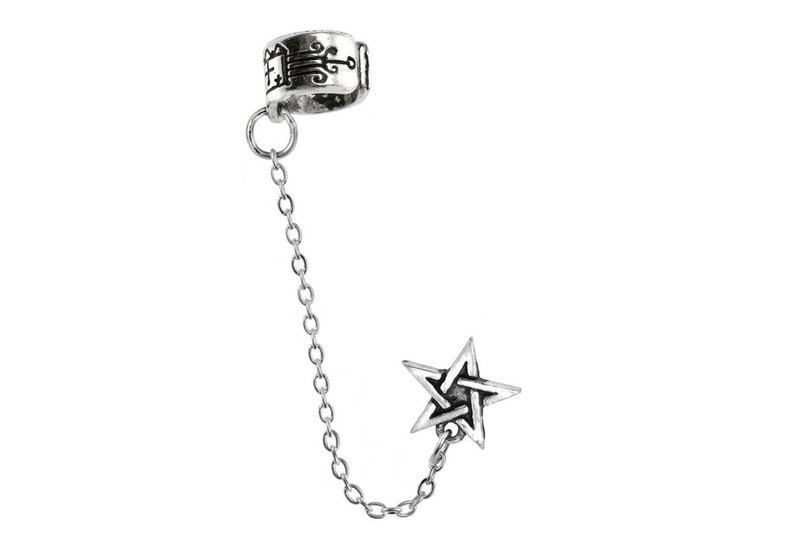 Pentagram earring cuff stud made of fine English pewter with steel posts and connecting chain. Imported from the UK. 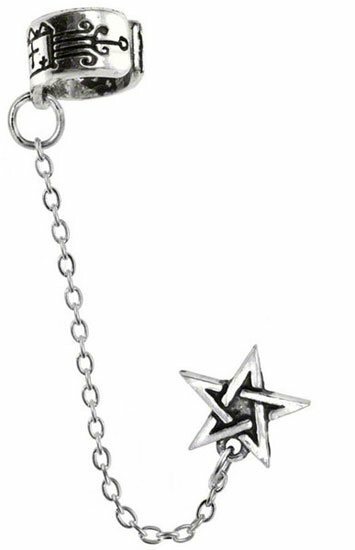 This stud can be worn on both ears.